Web Development Custom Web Development, Ecommerce Development, PHP, .NET, Open Source Development, Web Maintenance. Software Development Offshore Development, OutSourcing Development, Hotel And restaurant, software Billing(Inventory ) software with barcode generator, School Automation Software. Web Marketing Web Marketing involves both Search Engine Optimisation (SEO) and Search Engine Marketing (SEM). We utilize these techniques to improve your visibility and search ability; resulting in increase of the web traffic. Mobile Application Development Android application development is unique in that it utilizes an open source platform based on Linux.We offer Communication application, Multimedia Application, Travel Application, Fun and games Application. Mobile Application Development Sed pretium, nulla eget luctus adipiscing, eros nisi aliquam elit, ut vulputate sem libero sed mauris. Hello & Welcome to Imaker Infosoft. We provide fast turn around time with best quality at reasonable price. 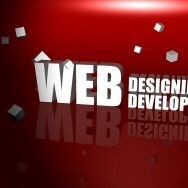 Along with web services provides website development that helps clients to attain business globally. Providing custom software with innovative new technology. Our success is built on continuous innovation. Provides specialized website optimization services in order to resist the business competition. Android is an operating system based on Linux, specifically designed for mobile devices and tablet computers. Hi there, We, Imaker Infosoft, based in Gandhinagar Gujarat, INDIA, Are multi-faceted web development & software development company. With number of years of experience, gradually we have gained the ability to see the big picture as well as obsess over the minute design details, which has made us capable of working in areas of all types .We strongly believe that every piece of design can be a work of art. We provide services for designing and development of website of any kind including Static Website Design, Dynamic Web Development, E commerce Web Development (Shopping Cart Development with payment gateway Integration), Work on Content Management System (CMS), Customized Web application development along with Domain hosting & registration solutions. Nothing brings more pleasure than making something out of nothing. We love our work and enjoy each new project as we get it. Feel free to have a look at our work portfolio and don’t hesitate to contact us if you think we can satisfy your requirements.
" I was just starting out in business, but I knew that I had to have a website, because just having business cards, could not express all the things I do. As I consider myself to be a little technologically-challenged, the idea of having to manage my site and deal with codes, was very overwhelming. Fortunately I found EZ Site. Obviously it was the "easy" that caught my eye, and after talking with the good people at this company, I knew that I had come to the right place. From the very beginning they were attentive to my needs, answered my questions, and they are very personable; you will never get lost in the shuffle like a much larger corporation. But what was truly amazing was the creative design process. " © Copyright Imaker Infosoft. All Rights Reserved.